This is another excellent Gecko Press book that we received from my in-laws in New Zealand. The author is Belgian. 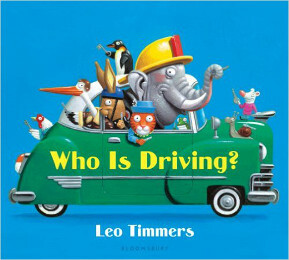 The joy in this book comes from the pictures, as different animals show up driving different vehicles. My kids also loved the “crash!” at the end. I’ve categorized it as a “baby” book, but it is a really fun book to read to toddlers, and was in heavy rotation in our house during those times.